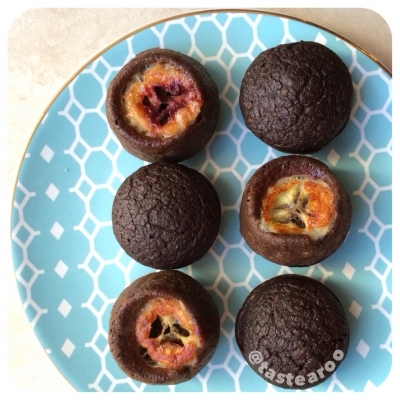 easy protein packed mini muffins! 1. Mix all ingredients minus the banana slices together to make the batter. 2. Place the banana slices at the bottom of each muffin cup. 3. Add batter into a mini muffin pan, only fill Â¾ of each cup. 4. Place in 350 preheated oven for 20 minutes. When done, allow it to cool and enjoy!